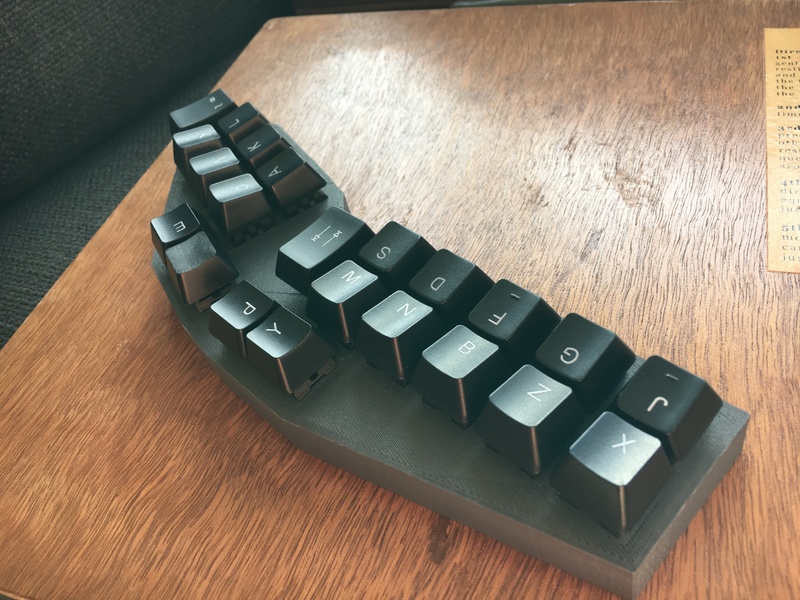 In Part 1 I managed to build all the mechanical parts of the keyboard. Now it's time to start on the electronics. The underside of the keyboard is looking quite tidy and the Teensy 2.0 fits in the space I left for it! 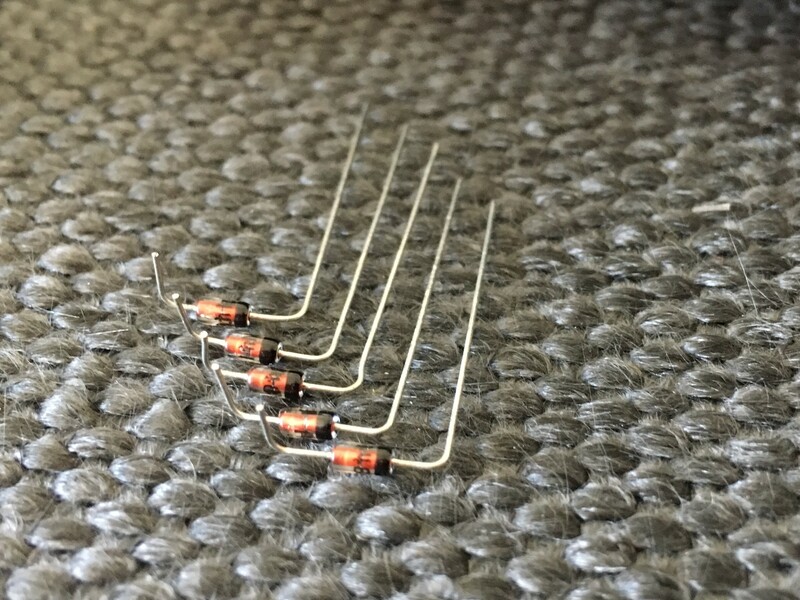 I found an excellent blog about how to wire switches as a matrix and use diodes to let NKRO work without ghosting. and then start bending diodes and soldering! Note: my soldering skills are not great, I haven't done any in years so these joints are ugly. Hopefully they will work. All the diodes in place - like I said, ugly soldering! And then the wires, I stupidly touched the soldering iron to my 3d print a couple of times. That is as far as I have got so far - to be continued in Part 3!